DESCRIPTION This custom home is situated on one of the best streets in Altadore and just a short walk to the Altadore River Park and Sandy Beach. 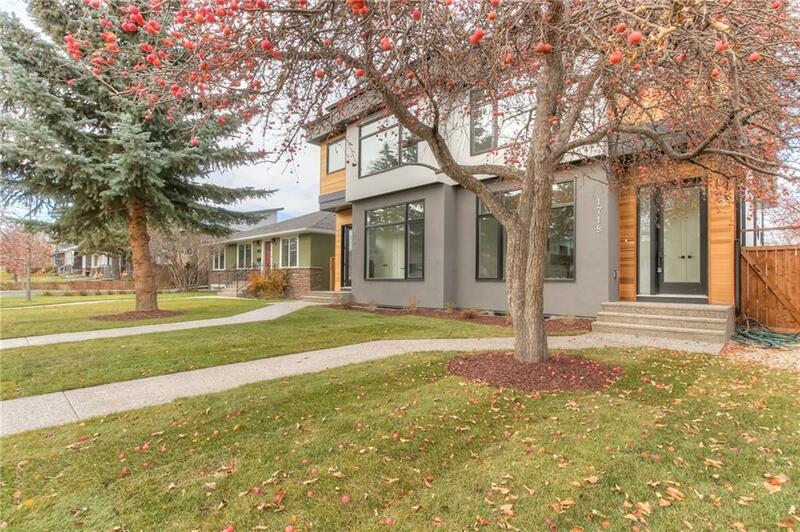 Designed and built by Sangra Developments, this home offers a bright open feel with Mid-Century Modern finishes. 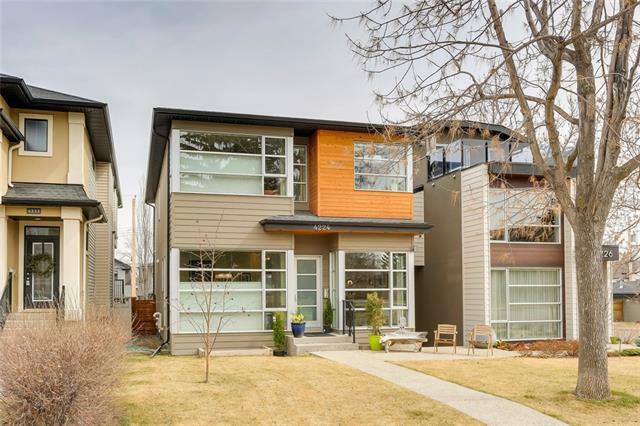 Main floor has an open floor plan covered in wide 7" plank Hardwood floors, 10 ft Ceilings, oversized Windows and a living room with Gas Fireplace. Kitchen offers High End S/S Appliances, Custom Cabinets, Quartz Counters and a coffered ceiling with inset wood planks. Upstairs you will appreciate having Skylights, Laundry Room, 3 larger Beds and 2 full Baths. As you open the door to your Master, you will enter the large bedroom with a Spa like Ensuite with free standing tub, fully tiled shower with body sprays/rainfall head, heated floors and a large walk-in closet with custom organizers. Basement also has a large Bedroom, Bath and a Rec Room. So many extra upgrades has been done in this home. Don't miss this one! Bar, Ceiling 9 ft., Ceiling 10 ft.
Home for sale at 1718 48 AV Sw Calgary, Alberts T2T 2T1. 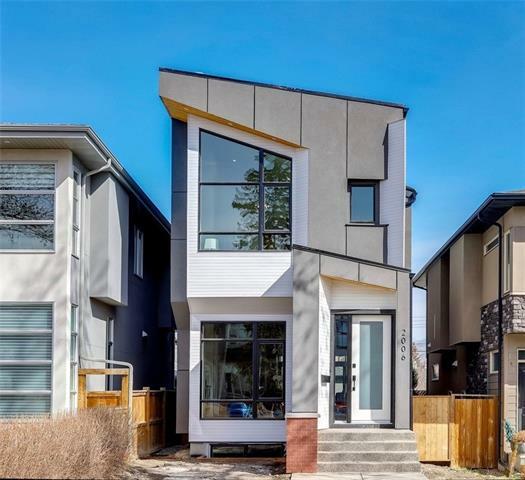 Description: The home at 1718 48 AV Sw Calgary, Alberta T2T 2T1 with the MLS® Number C4223013 is currently listed at $989,900.